hat is in a name? Identity? Power? Recognition? So much is in a name. 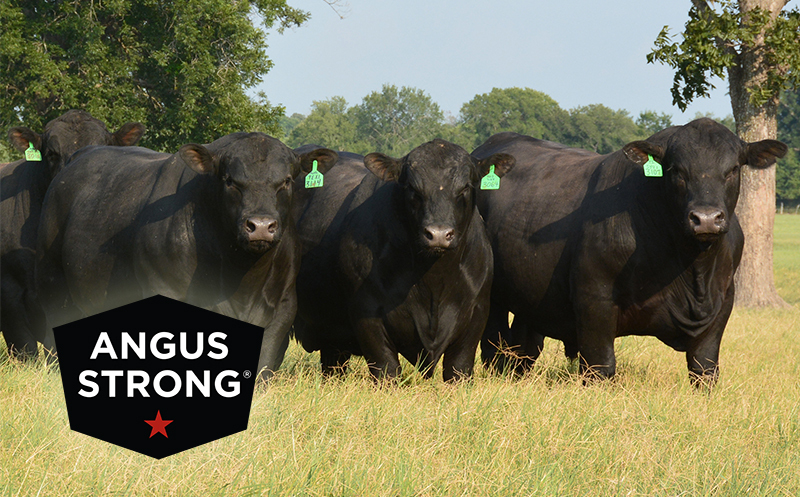 In the world of quality beef cattle and beef production there is no greater name than Angus. That’s why we simply refer to our genetics program as Angus Strong®. There is no greater way to identify the quality of the 44 Farms Angus genetics program. There is no greater way to communicate the strength and power of the Angus breed. There is no greater recognizable brand in the beef industry than Angus. There is no greater name than Angus. The 44 Farms Angus Strong® program is about providing relevant genetics to cattle producers to assist them to be successful. We know our genetics work. We know they produce premiums and profits for producers. These genetics can help to build a strong foundation for prosperous businesses for our customers. Performance is a resolute cornerstone in the Angus Strong foundation. Our genetics perform from birth to weaning and weaning to harvest. The average daily gains, feed conversion and harvest weights of our genetics are proven to be outstanding. Plus, 44 Farms genetics are consistently on feed for shorter periods of time meaning cost savings for feeders and producers retaining ownership. In summary, more pounds gained in fewer days means producers have more opportunities to increase profitability. Finally, a well-balanced genetics profile must produce carcass results that pay premiums. Big ribeye measurements, high quality grades and low yield grades produced by 44 Farms Angus Strong® genetics are consistent reminders that these genetics work. As a result, producers have yet another opportunity to improve profitability; and consumers can enjoy a delicious eating experience. We believe when we combine our know-how and intentional action with the experience, expertise and hard work of our customers, that together we can have such a great impact on the beef industry in the United States and around the world. Together, we can and we are making a difference.